The lovely village of Antimachia lies 23 kilometers south west of Kos town and 4 kilometers south of Mastichari. Its traditional character is completed by its position built on the mid part of a plateau. The village has around 2.200 permanent residents and their main occupation is agriculture and tourism. Antimachia is an ancient settlement and its name has been unchanged for over three thousand years. Here you can see a lot of beautiful and interesting sights the most important of which is the «House of Antimachia», a good representation of the traditional house of the early 20th century. Exactly opposite to the house you will find the “Milos tou Papa” (the priest’s mill) an old traditional windmill. 4 kilometres North-eastern from the village, via a good dirt road, you can visit the ruins of the Medieval Castle (14th century) of the order of the Knights of St. John, who also dominated Rhodes Island. There you can see its external strong walls that are saved in a good condition, a lot of castle-houses and water tanks of those ages. Also in the inner part of the castle you can see the old churches of Agios Nikolaos (16th century) and of Agia Paraskevi (18th century), both of them well enough preserved. In Mastichari you will see the ruins of the Early Christian Basilica, with a very nice mosaic floor. 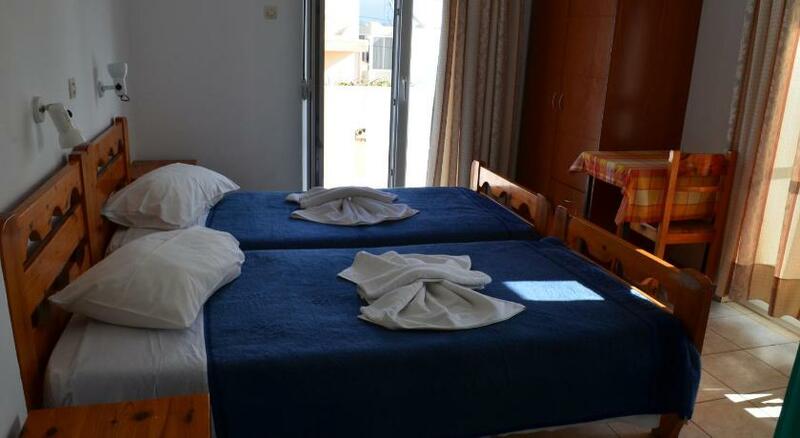 here are several accommodation alternatives not only in Antimachia but also around the area. 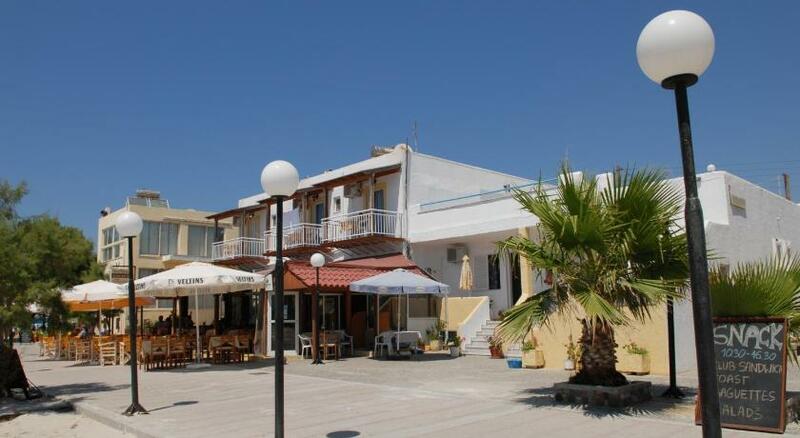 You will find very good food in the village although the fish taverns close Mastichari are more popular, with really fresh fish and delicious starters. Visitors can enjoy swimming, sunbathing and can also have fun doing all kinds of water sports at the well organized beach of Mastichari. Antimachia has an ancient history and a beautiful environment to offer to her visitors, but is also famous for the openhearted locals who live up to their reputation of many years ago as being very good dancers and singers. It is important to point out that the village has some of the best folk musicians in Greece. They are also known for their ability to improvise verses, satirical in most cases. If you are on the island during the period of Greece’s Carnival (equivalent to the Halloween), then certainly don’t miss Antimachia’s Carnival. You will never forget it! The festivals on the 15th of August in honour of the Assumption of Virgin Mary and the Agion Apostolon on the 30th of June both take place in a very traditional atmosphere. However the highlight of all festivals is the “Giorti tou Meliou” (Honey Festival), taking place in late August and apart from dancing, singing and enjoying oneself, you also have the chance to taste very good honey from the area, along with a variety of different sweets, all honey-based. Another important event which everybody looks forward to is the Wine Festival which takes place in early September and involves drinking lots of local wine, tasting delicious local plates and enjoying Greek music and dancing until the early morning hours. Any unfortunate medical incidents can be looked after at the local Medical Centre of the village where you will also find a Police Station. Access from Kos town is easy by public buses, running frequently (Kos- Antimachia- Mastichari), by taxi, by car and motorbike. Also from the port of Mastichari (some 4 kilometres northern to Antimachia), you may catch the boat for Kalimnos (boats depart regularly every day) unless you have a yacht then you can make use of the port of Mastichari for mooring. 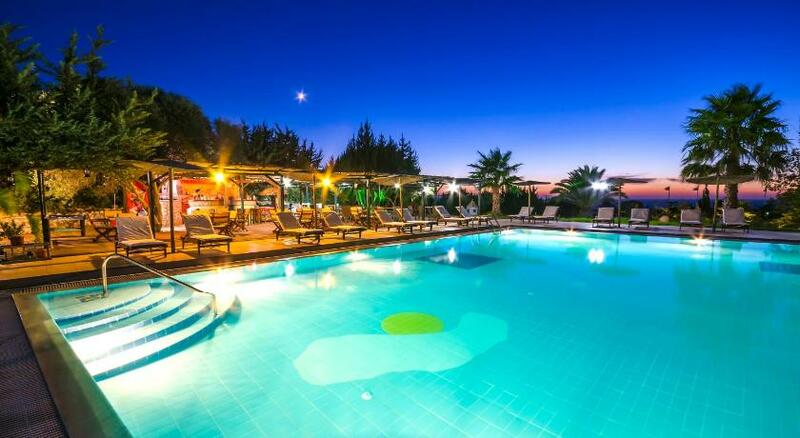 Andreas Studios is a family-run hotel located in the village Mastichari, and is a 5-minute walk from the beach.